Are you really into gaming, around thirty, or both? Then you can probably appreciate retro games. Back in the day, many of us would go to the arcades with a pocket full of coins and play for hours. As the years went by and technology evolved, we would play for hours on our computer or console. Nowadays, we can play anywhere thanks to our phones. Here are the best retro games you can enjoy on your smartphone right now. How much do you like retro games? When thinking about Windows games, the first thing that comes to mind is probably "Solitaire". 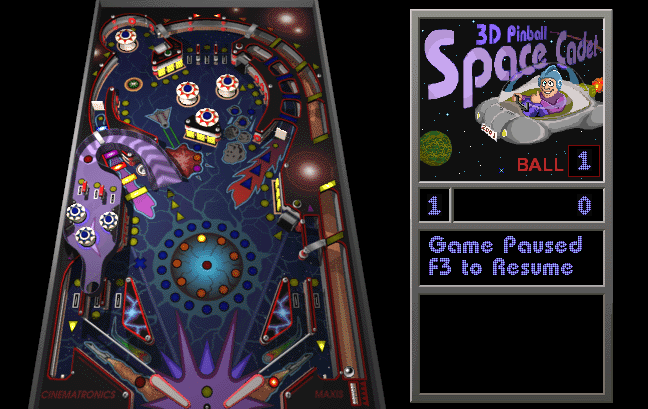 However, 3D Pinball Space Cadet had also an audience from Windows 95 all the way to Windows XP. Until Microsoft decided to remove it, that is. Fortunately, several developers took the matter into their hands, and we can find countless versions of Pinball on Google Play or App Store. Regrettably, we won't find a clone of the original game, for obvious legal reasons. But we will see other games that are as enjoyable as the original. The closest successor of Space Cadet is Pinball Deluxe (Android). It features multiple levels, different flipper styles, online multiplayer mode, challenges, and goals. To breathe new life into this classic game, the developers added small games within the pinball board. For example, we can play Arkanoid using the ball and flippers. 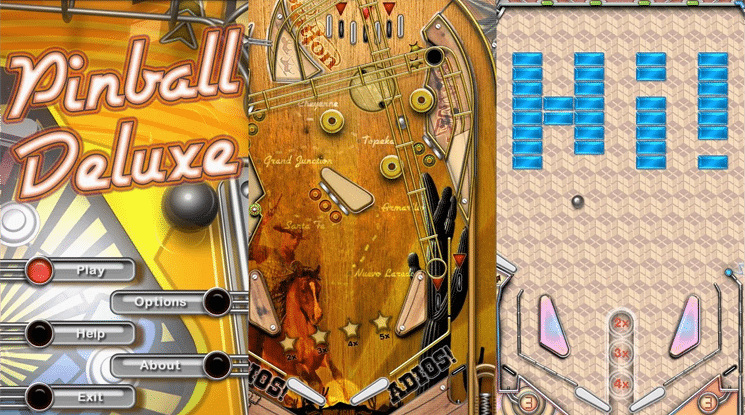 Creator "Made of Bits" found great success with the first version of the game, and they went on making Pinball Deluxe: Reloaded (iOS, Android). The year was 1991 when the lives of the Sega Genesis owners changed forever. Sega released Sonic the Hedgehog, and they all started running at supersonic speed. Since then, Sonic and his friends starred in numerous game titles. They even had their own animated series and movies, and a new Sonic film is under production. With a quick search on Google Play, we will find various Sonic games. 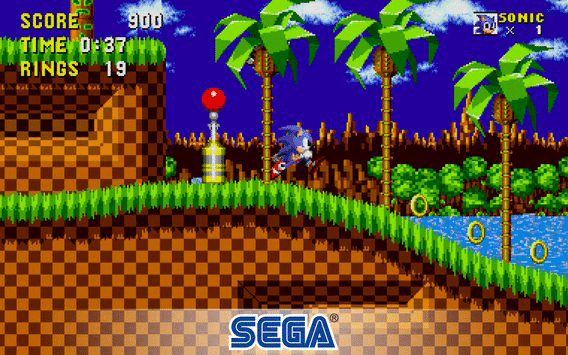 For us who want to reminisce our childhood, Sega created the first mobile version of Sonic. 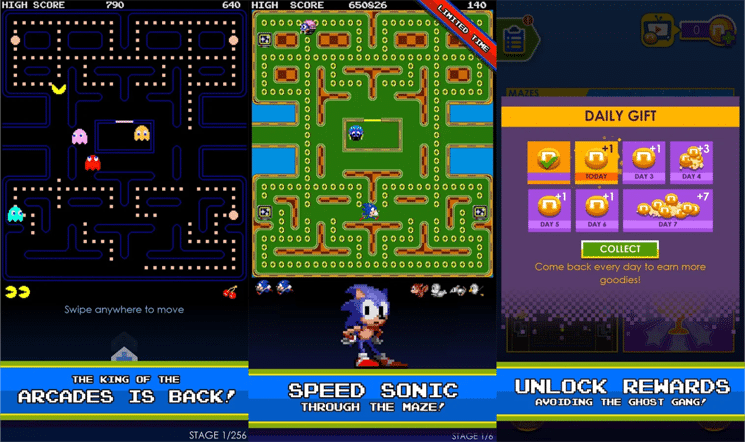 The app is Sonic the Hedgehog Classic (iOS, Android), and it's available for free. SEGA proves that retro games are still relevant. However, if we want to play Sonic non-stop, and enjoy our favorite speed-based style, then this isn't the game for us. 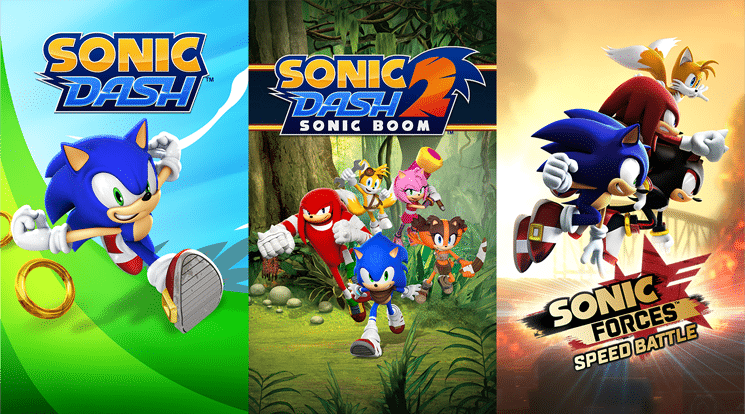 The titles we should try on this occasion are Sonic Dash (iOS, Android), Sonic Dash 2: Sonic Boom (iOS, Android), και Sonic Forces (iOS, Android). All these titles are fantastic, with fast gameplay, easy controls, and exciting character abilities. The main features, apart from the great graphics, are the ability to choose our character, battles with known bosses, a variety of choices, goals, challenges, and the necessary dose of nostalgia. For some, PAC-MAN is the undisputed king of retro games. 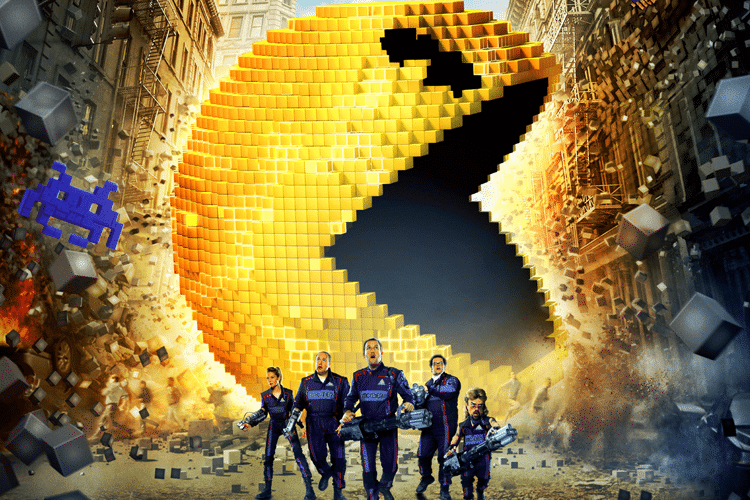 Like Sonic, it had numerous titles for various consoles and was also the star of the Pixels movie. By the way, the movie isn't even worth a Google search, and the PAC-MAN animation series are okay. Bandai Namco has released multiple Android and iOS titles, without successfully overtaking SEGA's Sonic. As it makes sense, the best PAC-MAN game is the classic one. 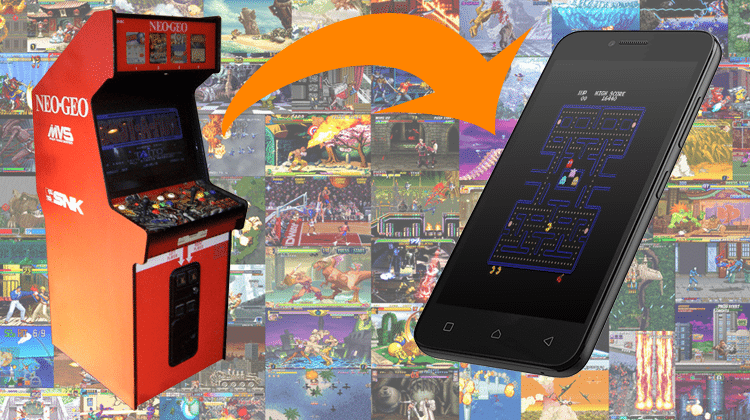 It's the version we all grew up to love, and can now play it anywhere on our Android or iPhone. The controls are doing a great job to make us mad. Although we can blame our device for losing, like always. We are going way back in time so hang tight, because we will remind you of the ancestors of Nintendo's Game Boy. 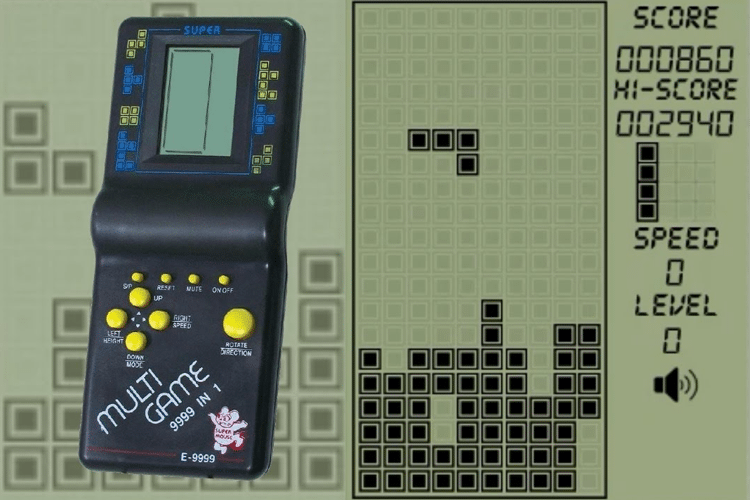 Yes, Game Boy wasn't the first handheld console. The first one was a Tetris console which today is cheaper than a cup of coffee. You see, around the '80s - '90s, Brick Game consoles became popular, and with them, we could play Tetris and a few other games. The game became successful very fast because of its simplicity, basic rules, and easy gameplay. Thanks to its success we got new versions for independent consoles with better graphics, and more. 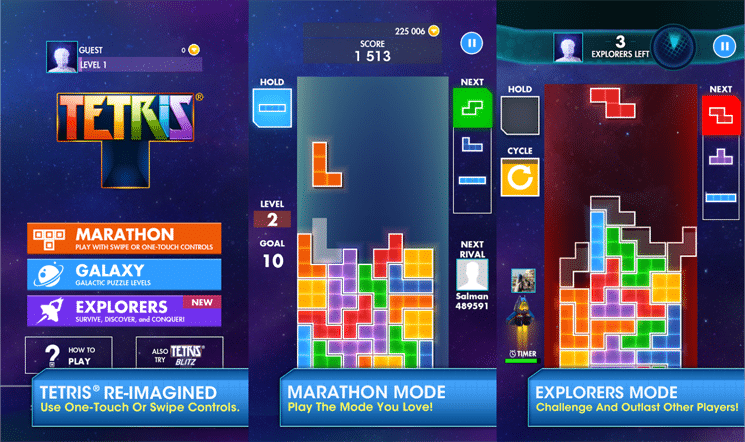 EA has released two Tetris versions, the best of which is the simple TETRIS (iOS, Android), with interesting graphics, excellent controls, various levels, and multiplayer capabilities. If we go even further back in time, we will remember all the fun time we had while playing Duck Hunt. We were happy hunters, shooting ducks with our NES Zapper gun. Memories huh? 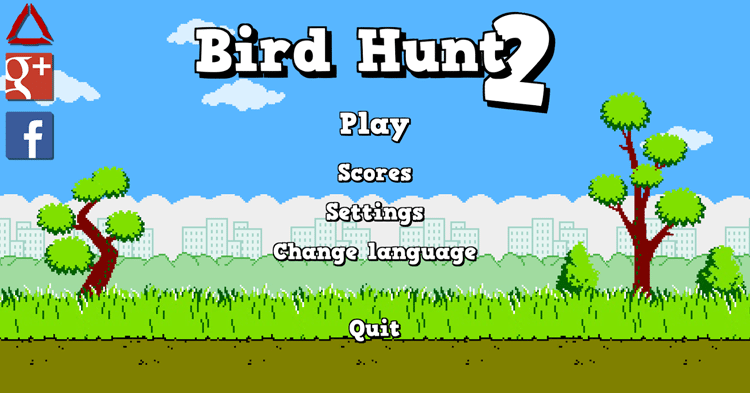 So, Deltacode Software created Bird Hunt 2 (Android), which is the best copy of the classic game. The gameplay isn't as satisfying as the original since we only tap at ducks with our finger; we miss you NES Zapper. It also has different difficulty levels and alternatives modes we can play. The closest we can get to Duck Hunt is if we put our phone to the wall, make our fingers into a gun, and every time we tap the screen we yell pew-pew. If you still haven't grasped how old these games are then you don't know what retro games are. 1971 was the early days of video games, and all games were in arcade cabins. 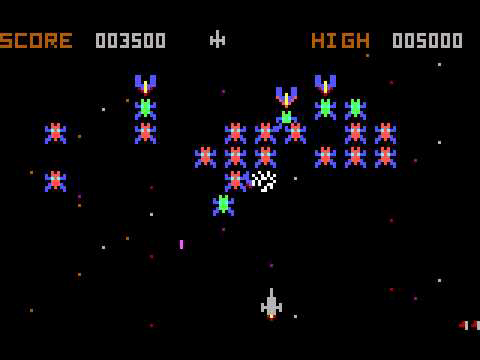 One of these games was Galaxy, the ancestor of the well-known game Space Invaders. The only way to explain the number of games of this genre is that programmers are very passionate about killing aliens. For those who want to relive the good old days, Galaxy Defenders - Alien Wars (Android) is the best option. It has 8-bit graphics, multiple levels, different weapons, bosses, and several enemies. 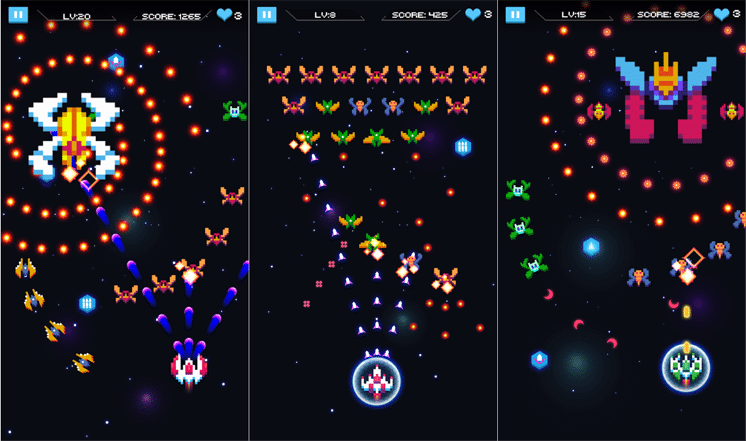 If we prefer modern graphics, "Galaxy Shooter Space Shooting" for Android and "Galaxy Attack: Space Shooter" for iOS, is the perfect choice for us. 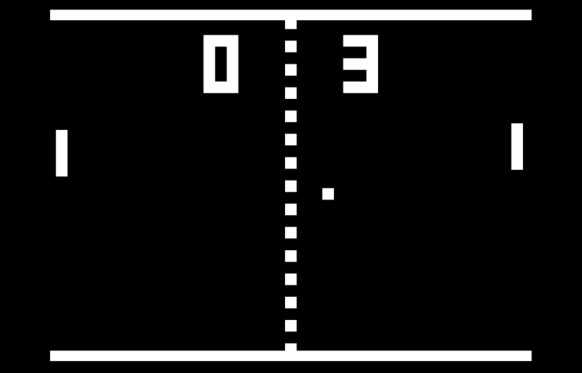 One of the first video games that is still popular today is Pong. The game was released in '72 by Atari, and it looks like a two-dimensional ping pong. Of course, there were several versions of the game, but in 2012, Atari's Pong was celebrating 40 years and released a mobile version. The game was called Pong World. However, they only cared about the iOS audience, since they never made an Android version. Although Atari hasn't updated the app since its release, we will find several alternatives on the Play Store. 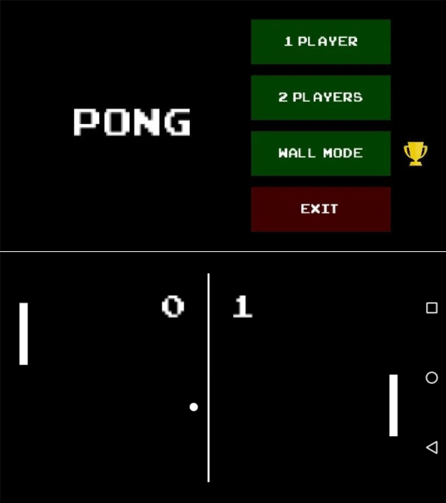 We will find the magic of the classic Pong, the one that all retro games have, on the Android game Pong. It is the same as the original, and we can, of course, play with friends. On the other side, we have Electro Pong (iOS, Android), with more colors other than black and white, special effects, and ranking boards. 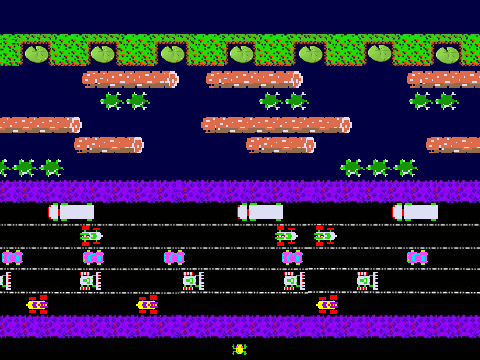 Continuing our travel in our retro-game memories, on the '80s we had Frogger, in which we had to navigate a frog throughout traffic. An interesting fact is that they still release new installments of the series, with the latest one being a casino game. 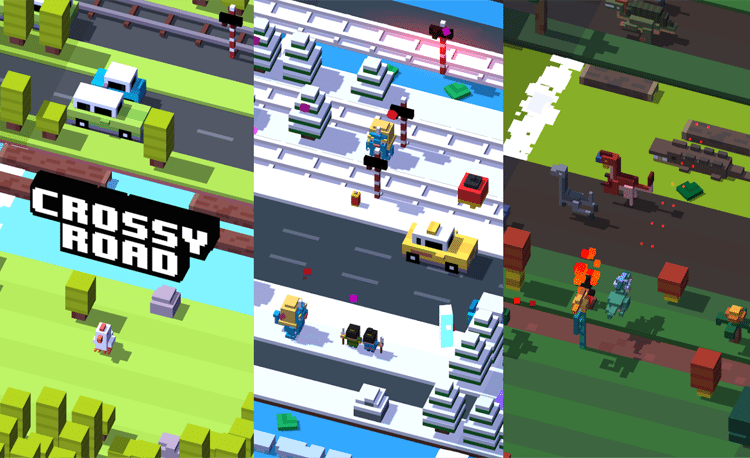 Nevertheless, we are sure that many know its offspring, Crossy Road (iOS, Android). 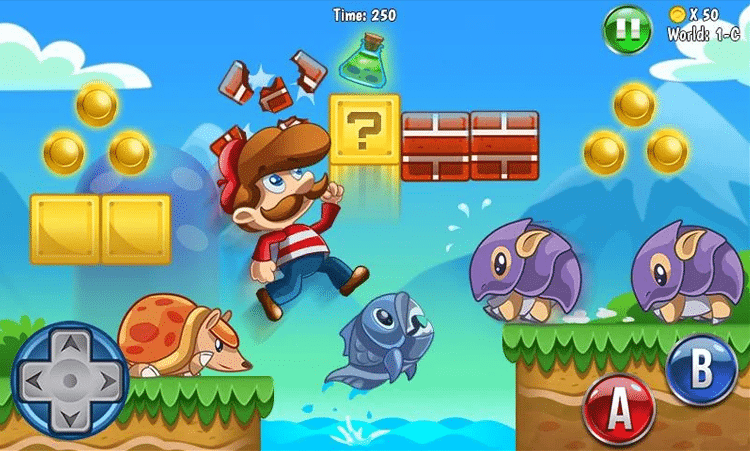 HIPSTER WHALE "was inspired" by Frogger; basically, they created new graphics, and it got more than 120 million downloads. The starter character is a chicken, so they probably had in mind the rhetorical question: "Why did the chicken cross the road?". We try to navigate and not kill a chicken through the streets of a busy city. To prevent those who think that the game is boring, it has numerous characters, among which we choose who we like. Each character changes both the environment and the rules of the game. 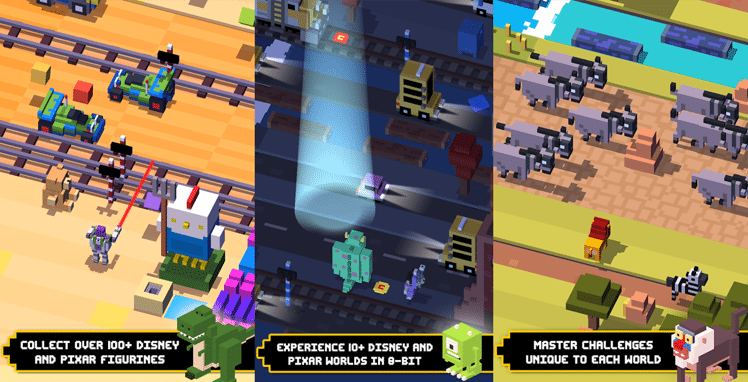 Crossy Road was so successful that even Disney gave them the rights to add characters based on its stories. 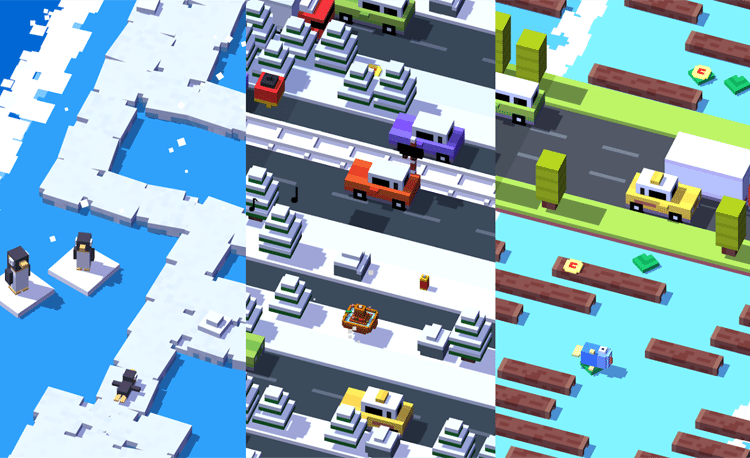 Meanwhile, the developers also created a Disney version of their game, Disney Crossy Road (iOS, Android). Universal Entertainment Corporation created Space Panic in the '80s. A year later, Nintendo was fascinated by Space Panic, wanted a piece of the pie and created its own game. 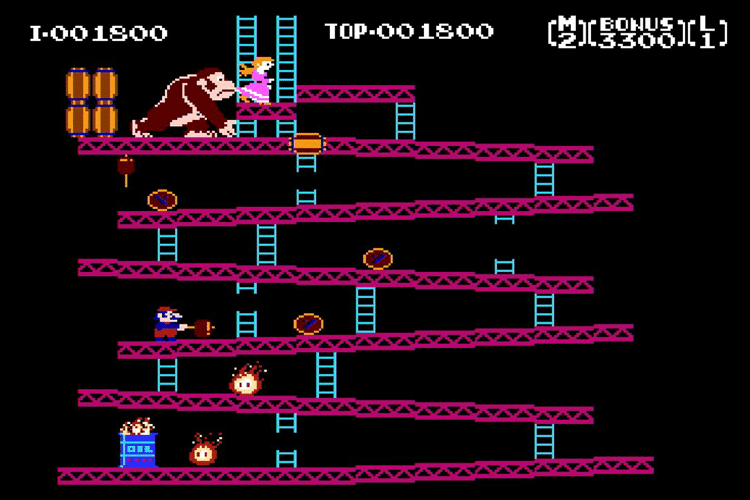 Yes, if you saw the image above you probably figured out that we are talking about Donkey Kong. The similarity is more than obvious. The two games are platform games, in which we control a character. 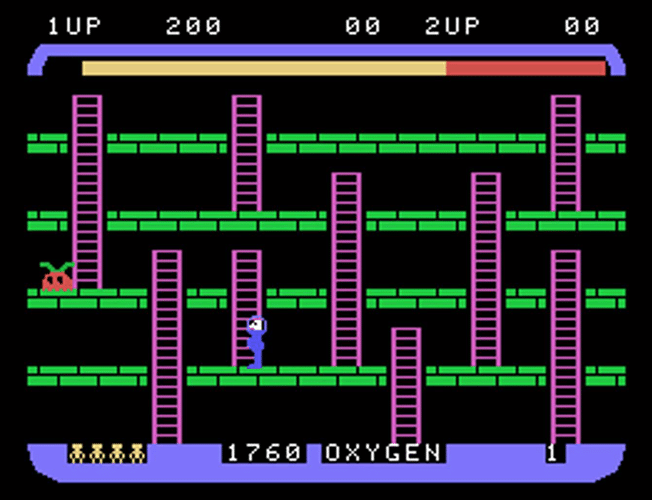 In this genre, the character jumps on platforms, climbs, and avoids objects. Platform games are still relevant although they may be somewhat different. Nevertheless, they are as enjoyable as ever. 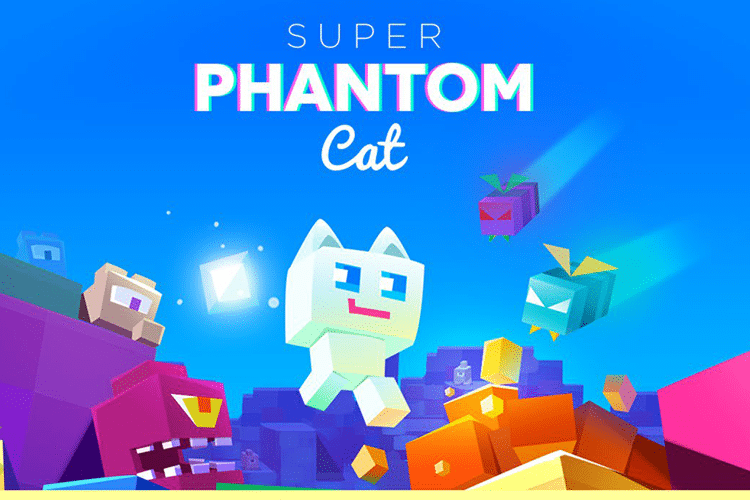 Some of the best free games of the genre are Super Phantom Cat (iOS, Android), and Super Phantom Cat 2 (iOS, Android). Veewo Games manage to mix the old with the new. 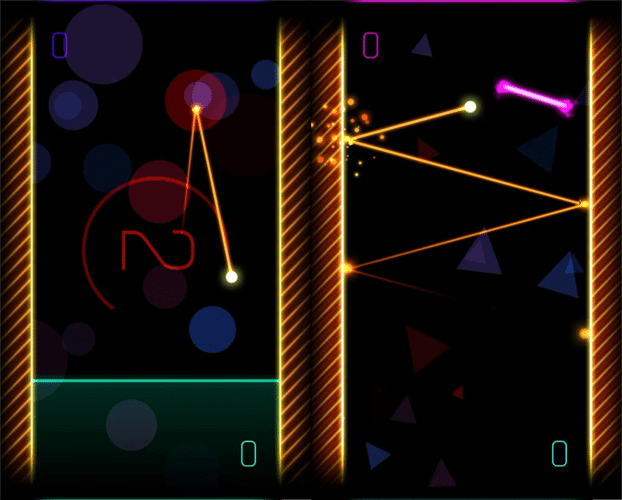 Classic style game, with modern geometric graphics, bold colors, and flawlessly adjustable controls. It has several levels, character selection, and a musical theme that takes you back to the arcade cabins playing retro games. It's time to talk about one of the biggest retro games. 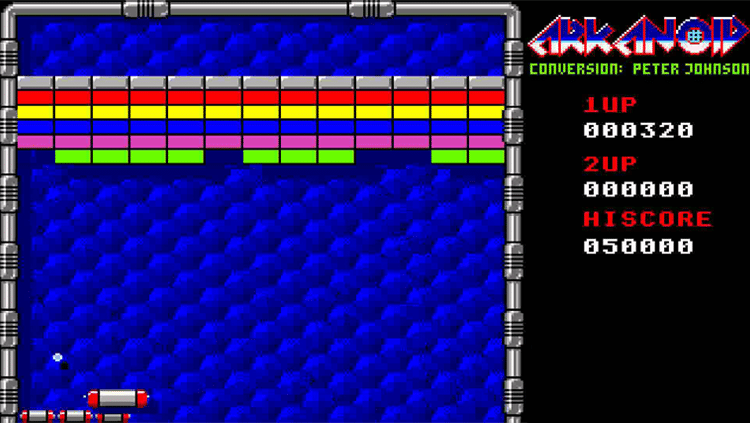 On Arkanoid, we have a board, a ball and a sole purpose of breaking the blocks on the ceiling. If you just played the game but never read about it, you might have missed the backstory, where the paddle is a spacecraft named "Vaus." With its help, we had to break the blocks, and when we had destroyed everything, we would have won. Various developers tried to keep the game alive by creating newer versions, but that didn't go so well. On app stores, we will find numerous variations, with Brick Breaker Star: Space King (iOS, Android) being the best of them all. 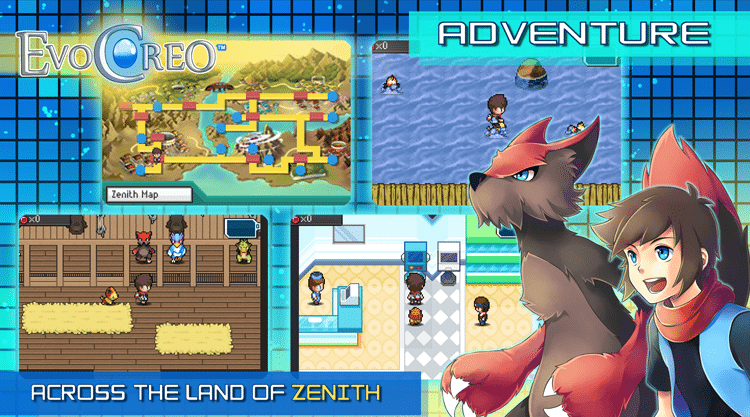 The development of the game continues, and it has several levels, with different goals. 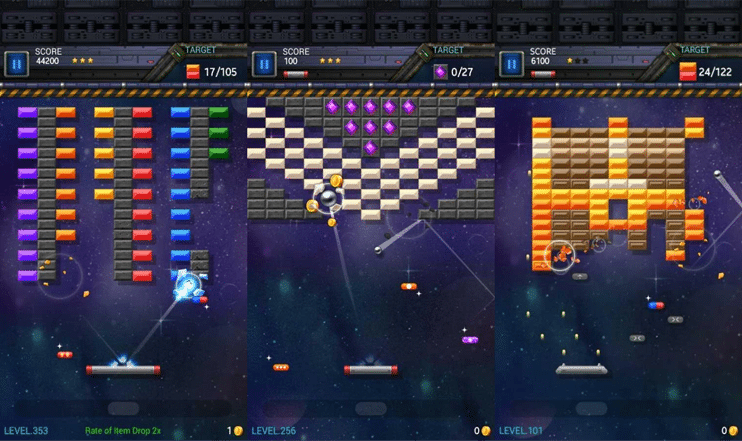 If we are looking for something as close as possible to the original experience, the best we found was "Arkadroid Brick Breaker" for Android. 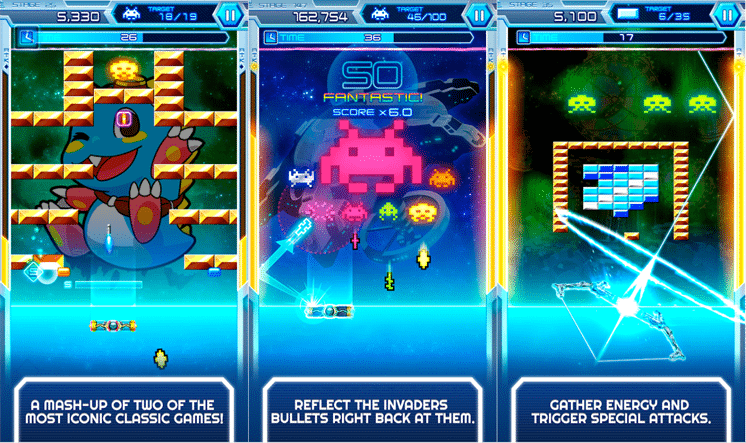 Meanwhile, in 2017 we got an official Android version of Arkanoid, the Arkanoid vs. Space Invaders (iOS, Android). 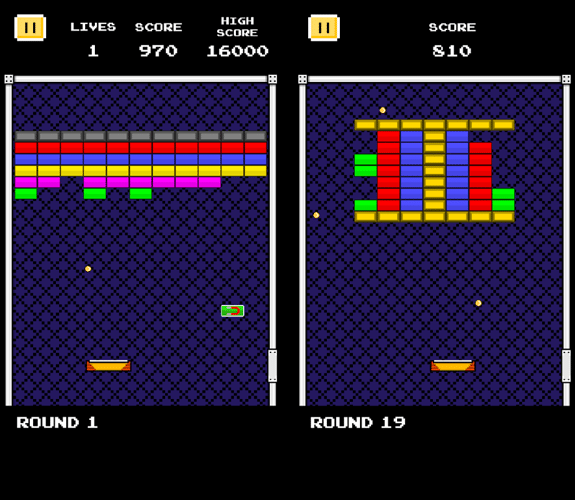 If you didn't catch the hint, it's a mix of Arkanoid and Space Invaders. Now our board reflects the aliens' fire, and our goal is to exterminate them. Also, the app isn't free, but we had to mention it. 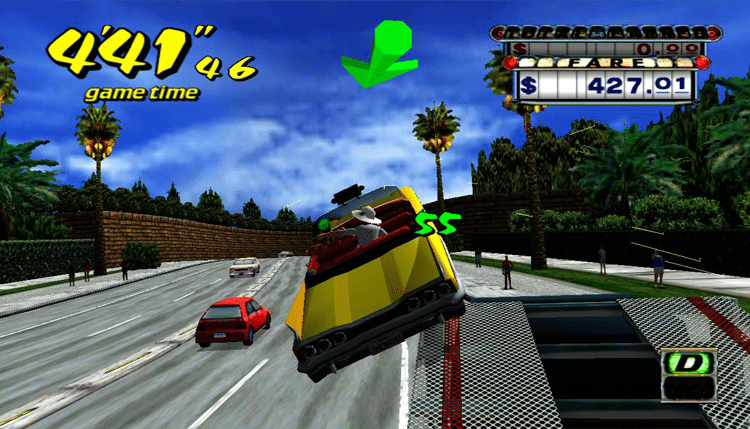 Before going into two vastly popular titles, we will take a ride with the Crazy Taxi. 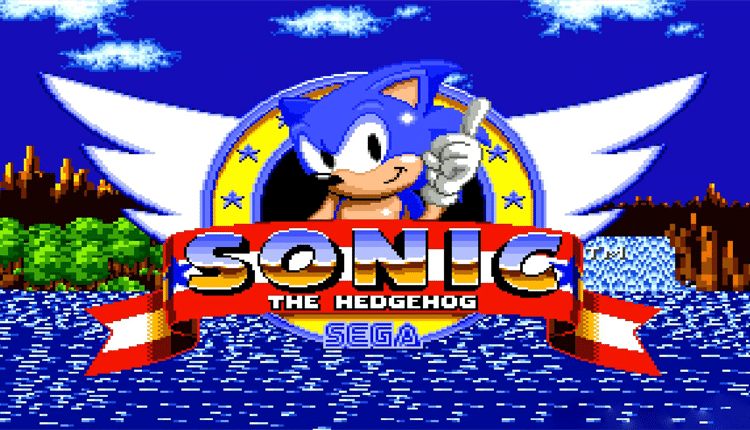 The game was released in 1999 by Sega. The purpose of the game is simple. We are the taxi driver, and we have to drive our costumers to where they want. However, we have limited time, and we get extra time when we perform special tricks. Sega continues to develop the game, and it's now in the Play Store. 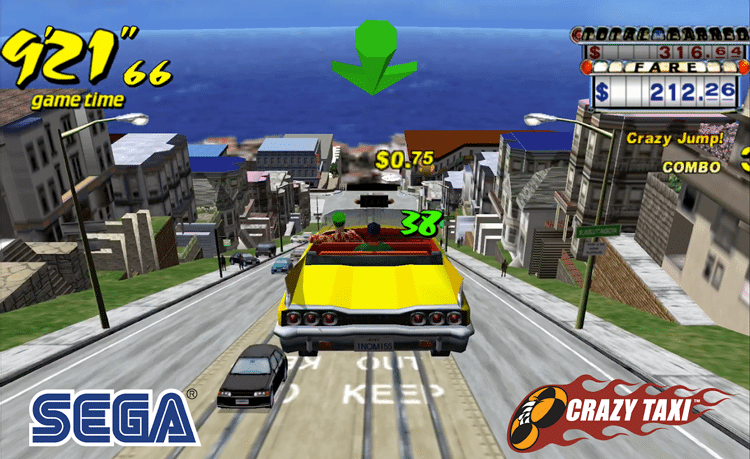 The Crazy Taxi Classic (iOS, Android) is the original, with added features, while it also supports a controller. 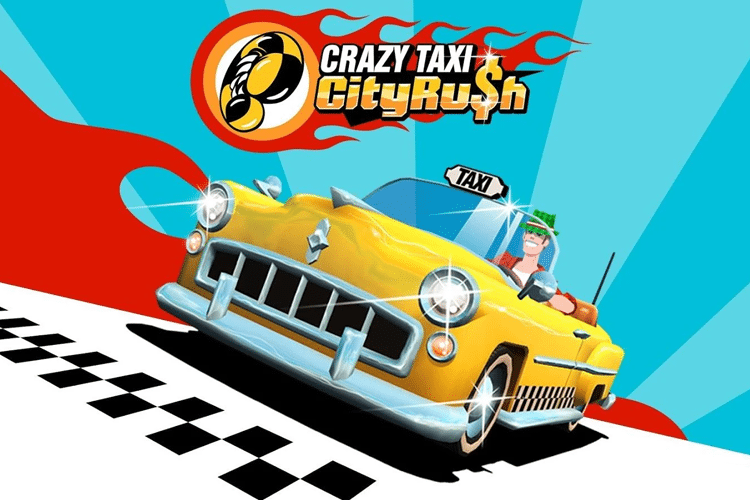 Also, Sega released a newer version of the game, Crazy Taxi City Rush (iOS, Android). 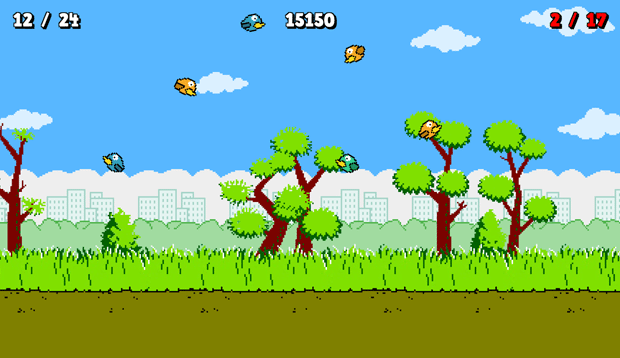 The gameplay is similar; it has updated graphics and additional challenges. We would like to close this retro games article by mentioning two AAA games. Let's start with Super Mario. 30 years passed before Nintendo decided to create a non-console Super Mario game. The game is Super Mario Run (iOS, Android), and it was honestly worth our wait. 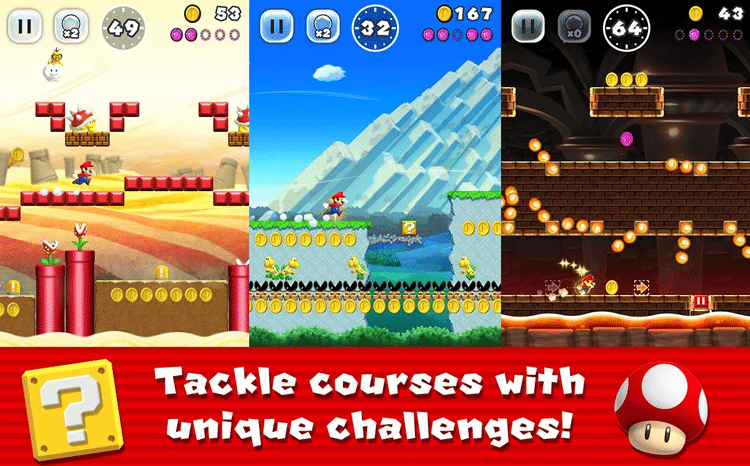 Even though the full version costs $9.99, any Mario fan should give it a try. Numerous tried to make similar games, but none were as good as the original. Even though Super Mario Run isn't perfect, it's the best out there. It has everything we loved from the original game, with extra features. For example, we can play with friends and build our kingdom. No matter what, we still have to save Princess Peach from Bowser. Thirty years of unsuccessful attempts. The last game in our list is Pokémon, again from Nintendo. No, not Pokemon GO, which wasn't developed by Nintendo, but by Niantic. And, frankly, it has nothing to do with our beloved Pokémon world, or with retro games. 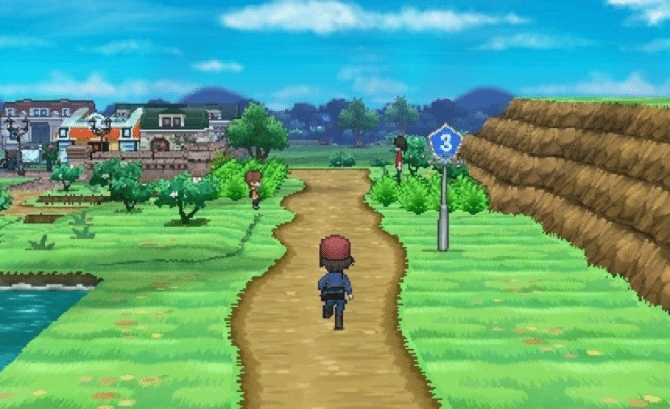 The truth is there aren't any plans to develop a classic Pokémon game for devices beyond the Nintendo consoles. Luckily for us, independent creators develop similar games. The best of them is EvoCreo (iOS, Android) by the weirdly named studio "ilmfinity," which follows the same logic. The story of the game is lovely, and it has a dose of mystery. We won't get bored for a moment and will be looking forward to finding out what will happen next. The name of the monsters are Creo, and the game has its world where we can catch them. 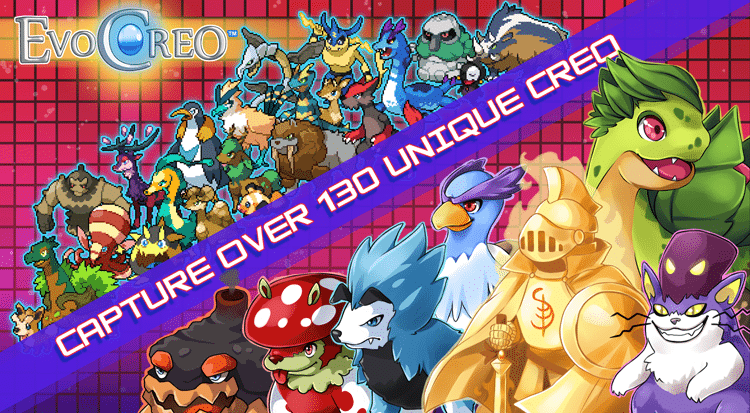 At EvoCreo we can participate in arenas, tournaments, explore caves, and generally do whatever we do in our favorite Pokémon games. The application is free up to a point in the story. The full version costs only $0.99 and is worth every cent since it offers over 40 hours of gameplay. We don't have to be a gamer, or around thirty to know what retro games are. All we need to do is search for them, find them, and show them the respect they deserve. We loved them and still love them. In every chance will get we play one of them, and always have a few installed on our phone. What's your opinion about these masterpieces? Let us know in the comments below.